GO PERFECTLY WITH EXCELLENT DESIGN. A beautiful clever card always makes a wonderful personal gift itself. – making a present and writing a card becomes even more fun. PABUKU greeting cards captivate through wit and verve in subtle queer context, associated with prime quality in design and production. Easy to be charmed! The clever unique graphics and social statement of the cards – being far away from heteronormative stereotypes – approach customers who are openminded and looking for the unique. You will raise lots of big smiles! The current collection of 54 designs offers a wide range of statement and event cards, known for whimsical designs, a little cheeky and this special kind of magic – a mix out of high quality, illustration, content, haptics and trendy neoncoloured lettering. Each card shows a so-called flip-side-surprise on the back. A small illustration and a saying which complements the frontside like a subtitle. Could cause a smile and addiction to read more! PABUKU quirky greeting cards are represented in shops of renowned museums like the MAK and the Leopold Museum in Vienna, the Städel Museum in Frankfurt or the National Gallery of Art in Washington DC, in design- and conceptstores, shops for gifts, stationery, books, porcelain and tableware and go perfect with flowers. We are happy to give advise on how to display the cards or we can offer matching rotating displays. of PABUKU’s quirky greeting cards.  We will be pleased to give you advice for your order or the form of presentation and welcome you to the WORLD OF PABUKU!